KALININGRAD, July 21. /TASS/. The first stage of the joint Russian-Chinese naval exercises dubbed "Maritime Cooperation-2017" has kicked off on Friday in the Baltic Sea, a Baltic Fleet official Roman Martov told TASS. "The first stage of the Russian-Chinese naval exercises ‘Maritime Cooperation-2017’ will be held from July 21 to July 28. It consists of two stages - a coastal stage, from July 21 to July 24, and an active sea stage, from July 25 to July 28," he said. In the morning, an encounter ceremony for the Chinese warships, including the Hefei destroyer, the Yuncheng frigate and the Luoma Lake supply ship will be held in the town of Baltiysk, Kaliningrad Region - the main Baltic Fleet’s base. "It is the first time in the history of Russian-Chinese relations that Chinese warships visit Baltiysk," Martov stressed. 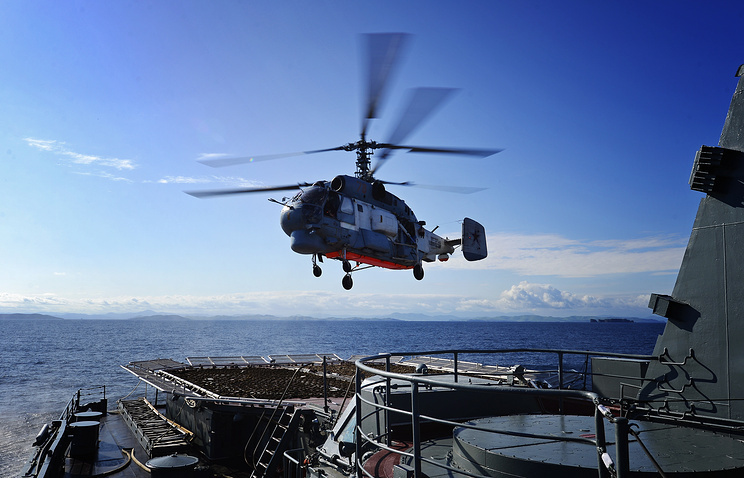 "Russia’s new generation Project 20380 corvettes - the Steregushchy and the Boiky - as well as a rescue tug, the Ka-27 multi-purpose shipborne helicopters, the Su-24 tactical bomber and the An-26 military transport aircraft are taking part in the drills." 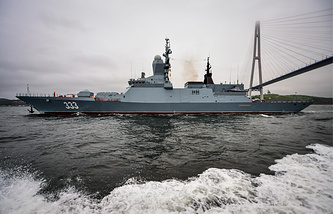 "The Russian maneuver command is represented by Deputy Commander-in-Chief of Russia’s Navy, Vice Admiral Alexander Fedotenkov, and the Chinese command is represented by Deputy Commander of the People’s Liberation Army Navy of China Tian Zhong," Martov noted, adding that Russian was the official language of the military exercises.